Donna McBeth has been a member of the employee care partner team at Athens Creek Lodge in Penticton for 18 years. Her first position was in the dining room, then security, then housekeeping, kitchen, office admin, and finally, nine years ago, she accepted the position of General Manager. "I love to... stir up trouble"
Donna is originally from the tiny community of Elphinstone Manitoba, and at the age of six, moved west with her family to Kelowna BC. 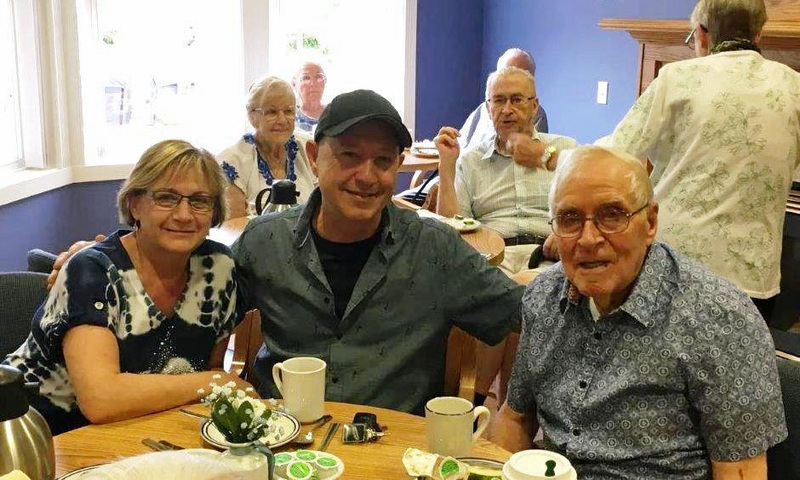 She married her husband Gord 42 years ago, and they have one adult son, and four adult children from Gord’s previous marriage. Before settling in their current Penticton home, she and Gord moved house 26 times. Donna says she loves to read and go on long peaceful walks in her spare time, but she hasn’t had much of that lately. In addition to her work, for the past fourteen years she has been caring for Gord, who developed Parkinson’s disease, and has had several bouts of cancer and a hip replacement. In May of this year, Gord went into care, and Donna still brings him home for a few hours when she can. Her personal goal at the moment is to ‘get healthy’. She says with Gord in care, she doesn’t have to worry as much, so she can start to take care of herself. She’s considering taking a kickboxing class, but relaxing in the bath with a glass of wine and a book looks pretty attractive too. Donna says she is enjoying learning more about the Eden philosophy of care - in particular the new vocabulary - and sharing that learning with Athens Creek care partners. She is also looking forward to connecting with her new Points West Living colleagues as opportunities arise.